Scotty, I need more words! Captain Kirk was always demanding more out of his Chief Engineer on Star Trek by saying, “Scotty, we need more power.” And his response was always, “But Captain, I’m doing the best I can.” Predictable and fun. But what if you’ve finished your manuscript and submitted it to your agent or publisher, and were told you needed more words. You’re under contract to deliver a certain amount of words, and you’ve come up short. What do you do? Do you “pad” the writing—go in and add a lot of stuff just for the sake of word count. Padding usually involves “staging” or additional extraneous actions by your characters as they move around the “stage”. But doing it too much will call attention to the padding and wind up getting sliced out by your editor. Intentional padding is not the answer. But there are some legitimate ways to increase word count without bloating your story. What about you? Have you ever come up short on contractual word count or just felt your story was too short? How did you expand the story without it becoming blotted or obviously padded? This entry was posted in #amwriting, #writers, #writetip, #writing and tagged Joe Moore by Joe Moore. Bookmark the permalink. Besides adding more atmospheric and sensual details as you suggest, I went through and sprinkled in hints that foreshadowed events. You started my day off with a Star Trek quote. Your the tops, Joe! Thank you! Star Trek the original is the most quotable show on the face of the earth. 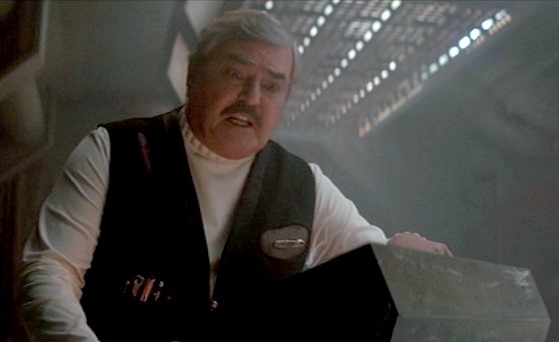 BTW, one of my all-time favorite Scotty lines is “The more you overtake the plumbing, the easier it is to stop up the drain.” Truer words were never uttered. As to adding words, I’ve not been in the situation you describe–in fact I’m more likely the person who has to cut OUT some stuff than add on, but the suggestions you mention for setting and sensory details do seem to make the most sense. I’d have to be very careful if asked to increase my word count–as I’m going through revisions I’m often thinking “I wish I could explain “X” better,” rather than trusting the reader’s judgement. I could definitely see falling into the temptation to insert a flashback or a bit of back story that would indeed become padding. Big Star Trek fan here, too, BK. I’ve found that it’s always easier to take away than to add. But if you have to add, don’t make it obvious. I’m the girl who always writes too much, especially with short stories that have a specific word count. I’m always looking for what to delete. I did have one editing client who wanted to turn her novella into a novel (but that required A LOT of words, so we did add a subplot, which doesn’t help here). Most recently, I had an editing client with a complete novel, and I suggested she make an addition to one scene that could then be reflected on in a few places throughout the novel. I wanted her to add a photo, which could then be sent to her brother (which explained why he visited later). Then she could look at it to remember the happy times of her relationship (which would make her changing her mind about her love interest more believable). Sometimes adding one detail can reinforce theme and/or be revisited throughout the novel to advance plot, develop character, and yes, add words. Thanks for your comments, Staci. You’re right about one detail helping to broaden the story. I mean … as I type in the hotel room in Portland, while at a writers’ conference — a hotel that has a rich history since the 1970s when a sitting president and one of the Beatles stayed here — I pause to consider this fine advice. The smell of fresh-brewed coffee from the little maker in the room fills me with joy as I feel the keys under my fingers and listen to the hum of the air conditioning unit. For another morning begins with a TKZ post! Excellent advice, Joe. A few years ago I had a 60K word thriller that no one would touch until I brought it up to 82K words. Rather than padding, I rewrote the entire novel. But it ended up being a better book, so it all worked out. Thanks, Sue. Once I had to retype my manuscript because it disappeared during a HD crash. All I had was a print copy. It wound up longer and, I think, better. Don’t want to do that again, though. If you need to really increase the word count, add a subplot. I’ve upped the body count when my novel is short, Joe, and killed a secondary character. Elaine, remind me not to play a character in your book. Too dangerous. If I may, how ’bout an innocuous “tic”- pausing to stroke a mustache or beard, hitching up pants, rattling change in a pocket (okay, maybe more annoying than innocuous), peeling the label from a bottle..? Interesting idea, George, but once you establish that tic, you probably don’t want to point it out again more than a time or two. Wouldn’t add a significant difference to the word count. Ah, back at TKZ – four days at the Writers’ Police Academy (HIGHLY recommended to anyone writing anything with any first responders or crime). I’m a day late here, but I recall a workshop given by (I think) Jodie Thomas (Or was it Linda Howard?) who needed 1000 more words per her editor. She went through the manuscript and said she writes ‘tight’ and there was no way she could work in anything else. Her son said, “What’s your protagonist’s name?” and she said “Mary.” He said, “Call her Mary Elizabeth” and that did the trick.